i mentioned earlier how much i loved my cousin megan's wedding reception (and you asked to have a peek!). 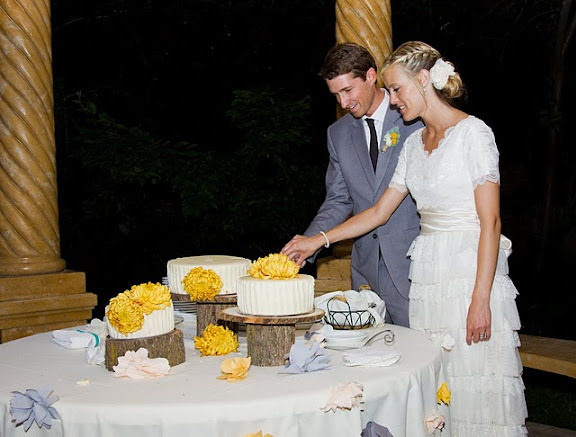 all the whimsical nature-inspired details were handcrafted by the bride and groom themselves! 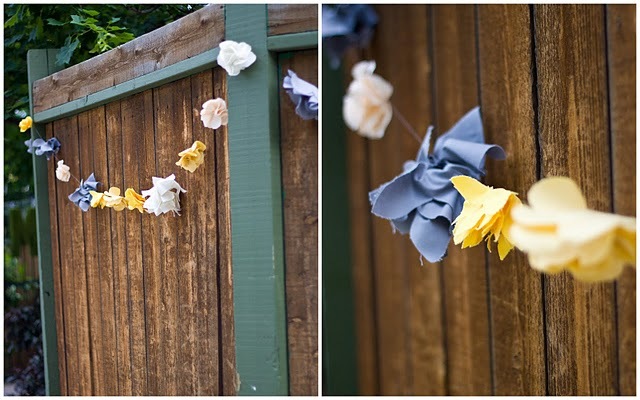 (don't you love the floppy fabric floral garlands?!) 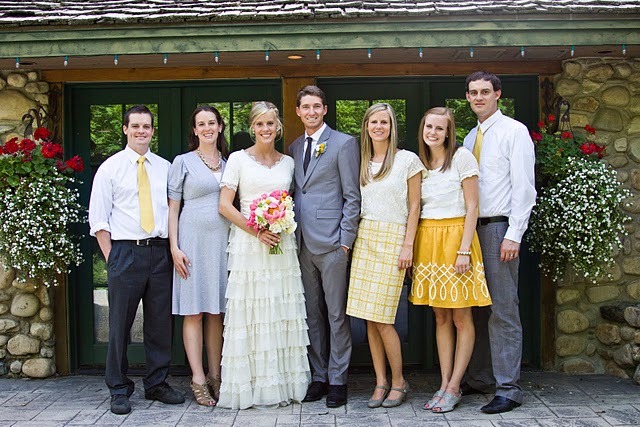 the grey & yellow hues along with megan's effortless style weaves the whole event together perfectly. 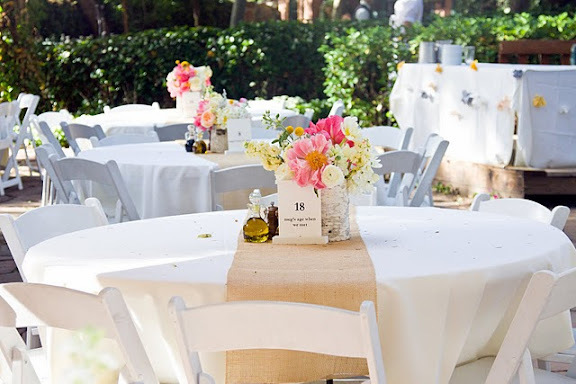 all their efforts paid off, it was a gorgeous garden reception. view even more photos from the event on my cousin sarah's blog (don't miss the darling oreo cake and lovely mossy monograms hung on the gates).